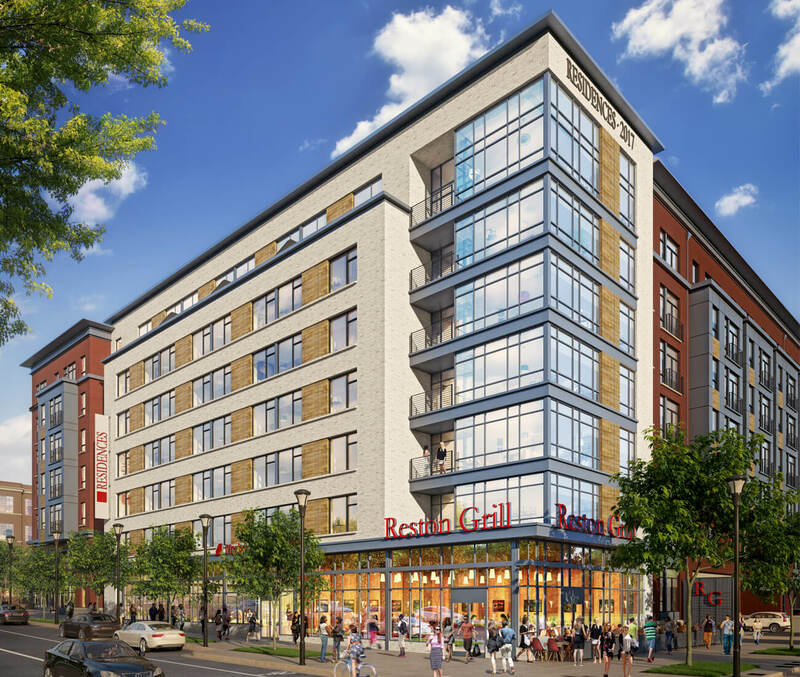 A seven-story multifamily project at 1831 Michael Faraday Drive, the building is designed to establish a grander commercial feel at the corner of Michael Faraday Drive and Reston Station Boulevard, transitioning to a quieter residential along the east and west facades. The 278,500 SF multi-use building will include six levels of residential units, ground floor retail, and a detached precast concrete parking garage to include 415 spaces. 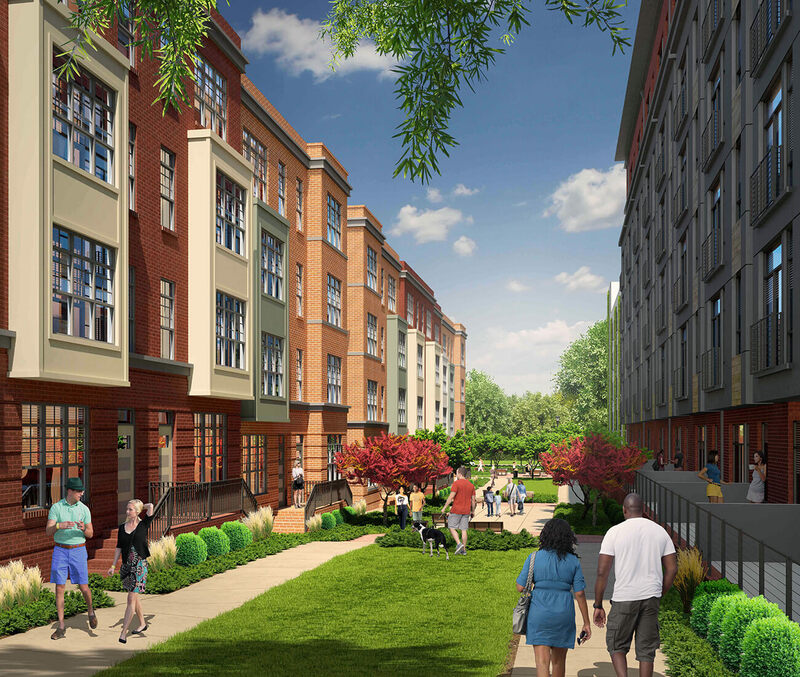 Between the apartments and new townhomes to the east of the building (townhomes not included in our scope of work), a linear mews space connects to a new public park. The apartment utilizes smaller bays adjacent to the townhomes to create a similar scale despite height differences between the buildings. Balconies and terraces also bring activity and human scale to the mews contributing to the feel of a welcoming and pedestrian-oriented living space.